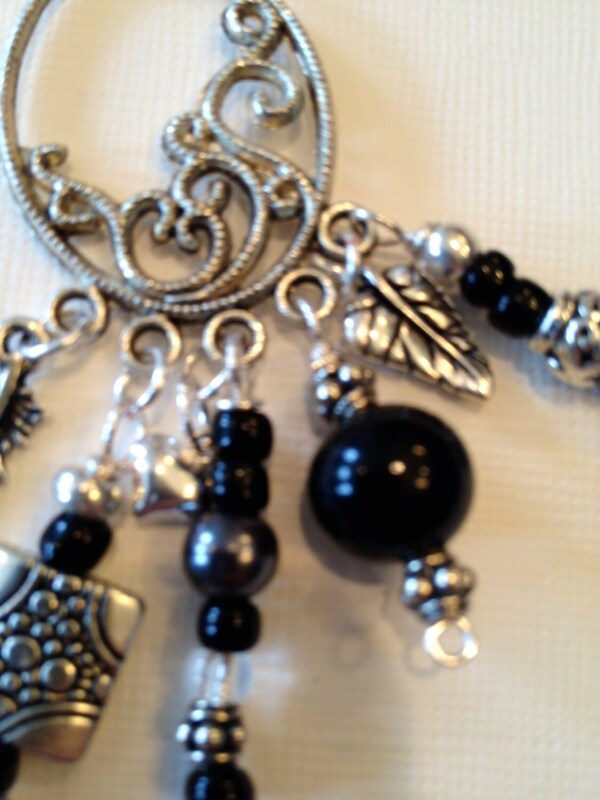 Earrings with silver or silver plated charms or beads, transparent or silver or black seed, black onyx and magnetite beads. 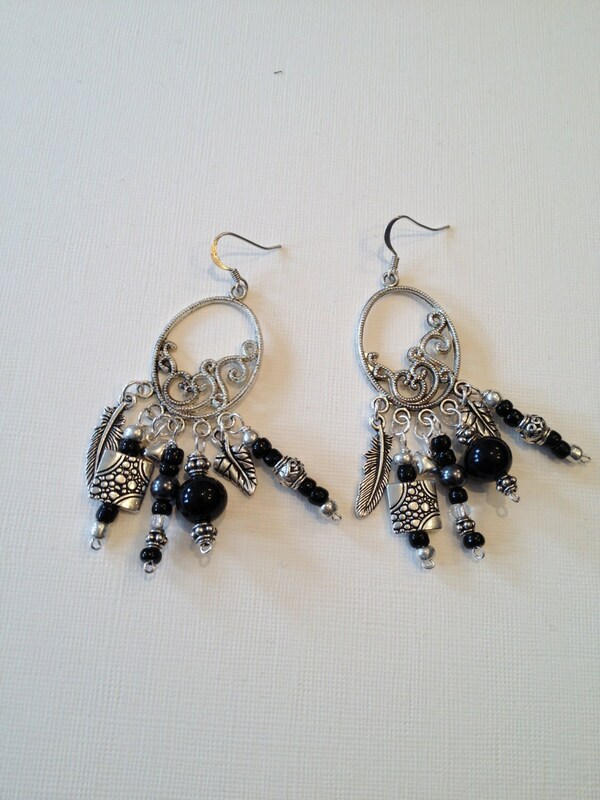 The earrings' body is made of silver-plated soldered wire work. 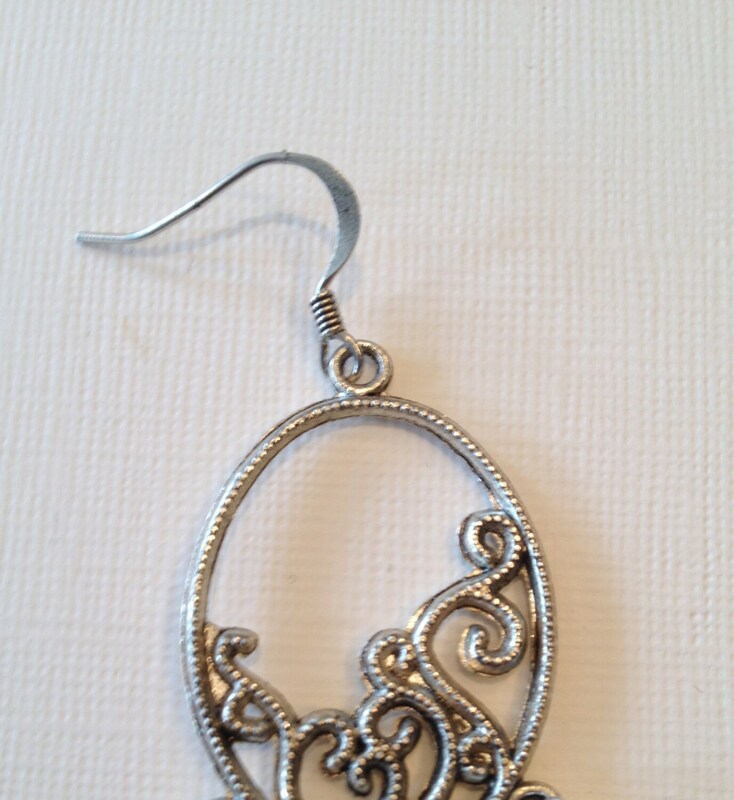 These earrings measure about 3" long and have a silver-plated hook. 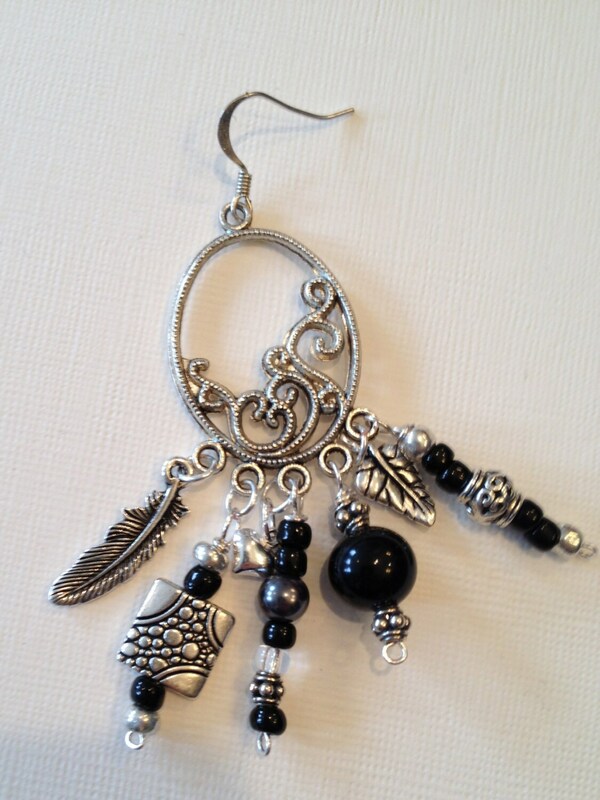 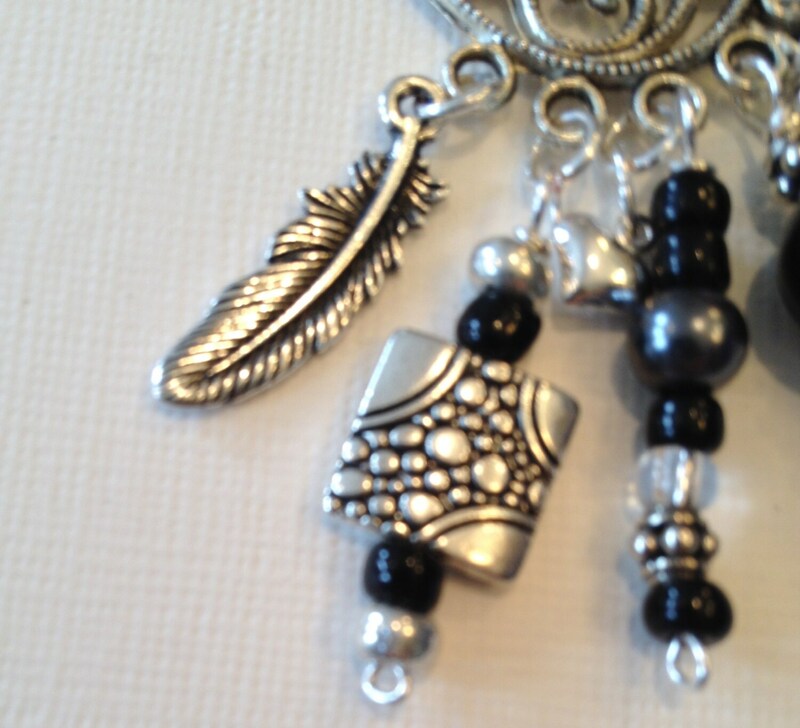 These earrings have a matching necklace, ring and bracelet.